Happy Shamrock Shuffle day! 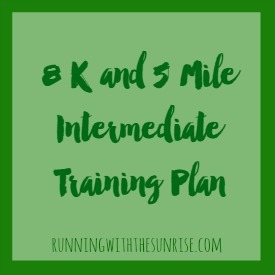 Yesterday I shared a beginners’ training plan with you, and today I’m sharing my 8K and 5 Mile Intermediate Training Plan. 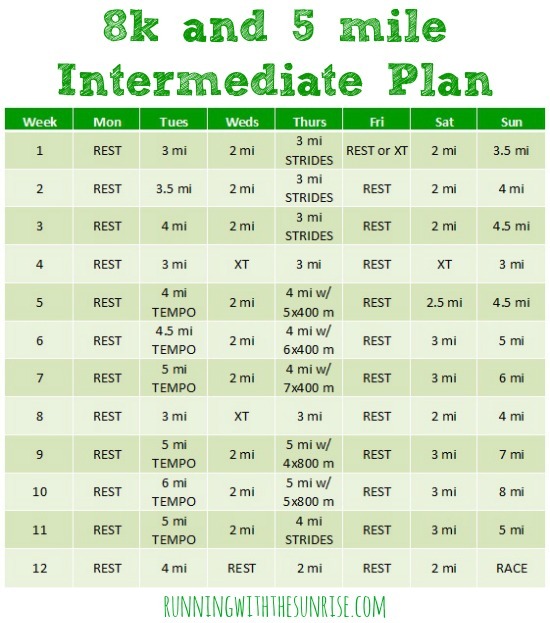 This plan would be great for you if you have a handful of 5Ks under your belt and you’re running 10 to 15 miles a week. 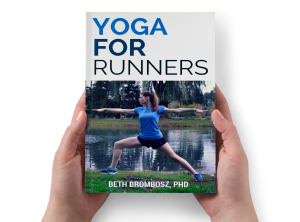 If you’re still not to that point, check out my 8K and 5 mile training plan for beginners. But, if that sounds like you and you’re looking to run a faster race, keep reading! Weekly mileage, unless otherwise noted, should be run at an easy, conversational pace. That means if you were running with a buddy, you’d be able to talk to them in full sentences. If you’re running harder than that, slow down. Tuesday tempo runs: Start out with an easy 10 minute warm up jog, then run at 10K to half marathon pace for 20-30 minutes, leaving time for a 5-10 minute cool down jog. Don’t know what your pace should be? Enter your finish time from a previous race into the McMillan Calculator and it will give your estimated 10K and half marathon times. Thursday speed work: Warm up with 10 minutes of jogging, then run your intervals at 5K pace with 90 seconds to 2 minutes of jogging between intervals. Alternatively, you can follow pacing guidelines from your McMillan Calculator data. Strides will help you with leg turnover and are a great introduction to speedwork. For more information on how to run strides, check out my Speedwork for Beginners post. Do you regularly add speedwork into your routine? What’s your favorite workout to get faster? Any questions about the training plan? 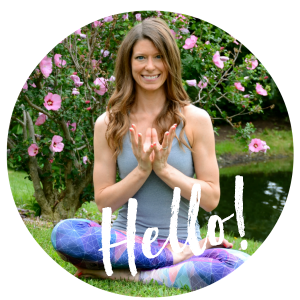 Your yoga is inspiring to me! I used to pritcace, back before kids. And then I tried after kids and my body just won’t do what it used to. Except for the balancing poses. I can still do those, but my flexibility is shot. I really need to try again!Nice to meet you!